Dance Pointe Academy prides itself in having highly motivated, enthusiastic, well trained teachers who are amongst the best in their field. All teachers attend regular classes and training to keep up with the current teaching methods and dance trends, all hold up to date PVG Certificates. Julie gained entrance to Dance For All Theatre School's full time professional dance course in 2000, she trained for three years studying ballet, jazz, tap, contemporary and musical theatre, and at the same time gained a taste of various other world dance styles, including flamenco and national dance. She has also experience in singing professionally and recording. Graduating with an HND in Professional Stage Dance and an Associate Teaching qualification with the ISTD (the world's leading dance examination board), Julie has performed in and choreographed many productions both singing and dancing. She has taught and delivered various workshops throughout Scotland for over 10 years in many well-known and established dance schools, clubs and organisations with pupils ranging from beginners through to full-time professional dancers. In a bid to develop her skills further as a teacher and as a creative choreographer, Julie spent an intensive year training at the Performing Arts School of Scotland where she then graduated with a a BA Honours Degree in Dance in 2012. During this time, she increased her knowledge and understanding of dance further, not just as an art form but also from a cultural and social perspective. She constantly pushes herself mentally and physically to become a better teacher, choreographer and overall performer. Dance and Musical Theatre has been a passion of Julie’s since she can remember, she loves teaching and believes that dance can be used as a release and a therapy for people from all backgrounds. She takes great pleasure passing on her knowledge and skills to anyone who wants to learn the art form, all in the fun and creative environment of her dance school. 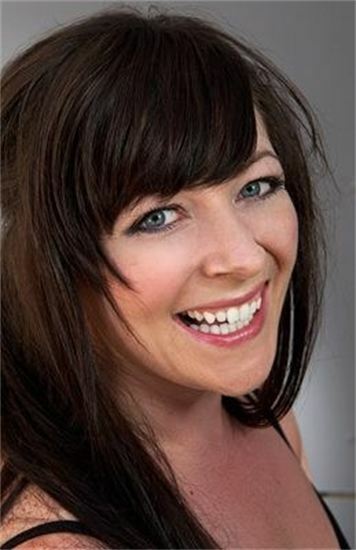 Jill is a former pupil of Dance Pointe Academy who went on to gain an HND in Professional Stage Dance and ISTD Associate teaching qualifications from Dance For All Theatre School in 2013. After graduating, Jill performed with Hip Hop crew Jackin' The Box in The Edinburgh Fringe Festival and many other shows around Scotland, she also featured in Commercial Dance Videos! In 2013 Jill succsefully auditioned to dance professionally in Jordan which she did for a year and then moved on to Greece for seven months to perform during this time she became dance captain for her company. Jill rejoined Dance Pointe Academy as a teacher in 2015 and has since become a important part of the school, her dance and teaching skills, personality and enthusiasm for dance makes her a great assest to our dance school! After spending a year training at Ecosse Performers College in Lossiemouth, Claire returned to Edinburgh to complete her training at Dance For All Theatre School and gained an HND in Professional Stage Dance as well as her teaching qualifications with the Imperial Society Of Teachers Of Dancing. Whilst at college Claire was also training in Highland Dancing, working towards her teaching qualifications with the Scottish Official Highland Dancing Association and in 2008 became a fully qualified Teacher, Judge and Examiner. In October 2016 Claire decided to further her training and has become a certified teacher in Acrobatic Arts, which she has fallen in love with and has been teaching since! After leaving college Claire joined her mum, Jackie, in the running of her dance school, and now runs the Jazz, Tap, Modern, Acrobatics, Baby Ballet and Performance classes. As well as running her own school, Claire teaches in various establishments throughout the Edinburgh Area.